Mark is a family law specialist with particular experience in matrimonial finance and private children disputes. Mark is able to accept instructions from members of the public under the Direct Access scheme. Before being called to the Bar, Mark served as an Army Officer and an Operations Officer with the United Nations. These roles provided valuable experience in negotiating and mediating in high-profile, high-pressure environments. Mark regularly advises and represents clients in financial cases under the Matrimonial Causes Act 1973 and Schedule 1 of the Children Act 1989 as well as trusts of land cases, pre-nuptial agreements and other co-habitation disputes. Recently Mark has acted on a number of high net-worth cases involving material non-disclosure and assets outside of the jurisdiction. Mark has considerable experience of private children cases including those involving difficult or demanding clients and/or litigants-in-person, complex fact-finding hearings, the appointment of guardians, leave to remove and risk of abduction (both within and outside of the jurisdiction). Mark is happy to discuss aspects of a case prior to instruction. A v B  EWFC B9 – Application to enforce and/or set aside a consent order made in financial remedy proceedings as well as a parallel application under Children Act 1989, Schedule 1 on behalf of the Intervenor (current husband of the Respondent Wife). The key legal issue was whether FPR 2010 Rule 4.1(6) and Matrimonial and Family Proceedings Act 1984, section 31F(6), and now FPR 2010 Rule 9.9A had changed the test to be applied by the courts when considering whether to set aside. The approach urged on behalf of the Applicant Husband was rejected at final hearing and a costs order made in favour of the Respondent Wife and Intervenor. N v C  Unreported – TOLATA proceedings before Master Davison (sitting as a Circuit Judge) on behalf of the Respondent. Dispute regarding rental property portfolio of the parties with a total value of just under £1m accumulated over the course of a 16-year cohabiting relationship. The crux of the Claimant’s case was that he was entitled to 50% of the rental income received by the Respondent from her solely-owned property over the previous 16 years and that the Respondent had no beneficial interest in two of the rental properties. Following a 4-day final hearing the Claimant’s case re rental income was rejected and the Respondent was found to have a 32% and 37% beneficial interest in the disputed properties. Re B  Unreported – Change of living arrangements. Acting on behalf of the guardian in private children proceedings heard over 5 days. Allegations of sexual abuse against the father had been dismissed after a fact-finding hearing and findings made that the mother had coached the child to make allegations and would remain implacably hostile to the father/ frustrate contact if child remained living with her. Transfer of living arrangements ordered. Child to live with the father and have supervised contact with the mother. S v S  Unreported – Financial remedy proceedings on behalf of retired doctor serving an 18-year prison sentence for historic sexual offences against patients that pre-dated the 35-year marriage. Key issue was the effect the Husband’s conduct should have on the division of the assets and whether his future housing needs on release should be addressed immediately. At the final hearing the parties agreed a 1/3rd to 2/3rd division of the capital assets. T v T  Unreported - Application to set aside a consent order made in financial remedy proceedings in 2000 on behalf of the Husband. Evidence that the Wife had failed to disclose a property and savings at the time the consent order was made. Husband now living in Canada and the Wife was in the process of making a REMO application for alleged arrears of maintenance. G v G  (unreported) - Financial remedy proceedings for applicant wife. Multiple business assets owned by Husband. Prior to proceedings being issued annual turnover had been £12m. The final hearing involved cross-examination of a jointly instructed forensic accountant and the accountant who acted on behalf of two of the companies run by Husband. The court found that the Husband had failed to provide full disclosure, repeatedly breached orders, dissipated assets and deliberately run down the companies. Bulk of available assets awarded to the Wife and suspended order for sale made against the Husband’s home to ensure compliance. Costs order made against the Husband. E v E  (unreported) – Financial remedy proceedings for applicant wife. Husband self- employed and living abroad. Following a final hearing, findings made that Husband had misled the court, manipulated his finances and that his non-compliance with court orders and maintenance payments was “disgraceful”. Husband’s home transferred outright to Wife (with a right to occupy) as security against future breaches by Husband. S v B  (unreported) - Private law proceedings on behalf of the Mother. Disclosures made by child that the Father had sexual abused him. Not supported by any physical evidence. Father alleged Mother was the cause of the disclosures. Local Authority involvement was very ineffective. Guardian instructed. Matter resolved by consent at a final hearing. Re T  EWCA Civ 606 – Representing the 3rd and 4th Respondent Guardians (9 children). General guidance given re delay and the need for updating information before handing down a delayed judgment. G v G  (unreported) - Financial remedy proceedings for applicant wife. Multiple business assets owned by Husband. Prior to proceedings being issued annual turnover had been £12m. The final hearing involved cross-examination of a jointly instructed forensic accountant and the accountant who acted on behalf of two of the companies run by Husband. The court found that the Husband had failed to provide full disclosure, repeatedly breached orders, dissipated assets and deliberately run down the companies. Bulk of available assets awarded to the Wife and suspended order for sale made against the Husband’s home to ensure compliance. Costs order made against the Husband. E v E  (unreported) – Financial remedy proceedings for applicant wife. Husband self- employed and living abroad. Following a final hearing, findings made that Husband had misled the court, manipulated his finances and that his non-compliance with court orders and maintenance payments was “disgraceful”. Husband’s home transferred outright to Wife (with a right to occupy) as security against future breaches by Husband. S v B  (unreported) - Private law proceedings on behalf of the Mother. Disclosures made by child that the Father had sexual abused him. Not supported by any physical evidence. Father alleged Mother was the cause of the disclosures. Local Authority involvement was very ineffective. Guardian instructed. Matter resolved by consent at a final hearing. Re T  EWCA Civ 606 – Representing the 3rd and 4th Respondent Guardians (9 children). General guidance given re delay and the need for updating information before handing down a delayed judgment. Offers a respected family law practice covering areas such as financial remedy disputes, TOLATA proceedings and private law children cases. He deals skilfully with matters involving sexual abuse and domestic violence allegations. "He is amazing. He has an aura of calm and control. Clients are very confident in him." "He is noted for his thorough preparation and grasp of the salient details of a case. His presentation of the case to the court is also impressive." Strengths: "He displays exceptional skills in court. He is fantastic at cross examining, he is very pragmatic, and he has a fantastic bedside manner with clients." "Has thorough knowledge of matrimonial financial cases, and shows great attention to detail." "He is well regarded for his advocacy style, particularly when faced with challenging cases involving contentious medical evidence and vulnerable witnesses." “Family and children law – Leading juniors: Mark Elliott - Extensive knowledge of both financial remedy and Children Act matters”. 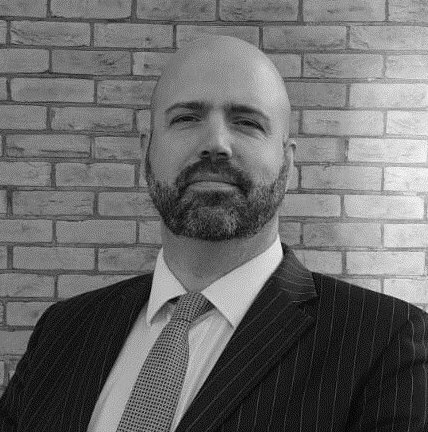 Mark Elliott is qualified to accept instructions directly from members of the public and professional clients under the Direct Public Access scheme.